With the leftover barbecued pork, I used it as filling for my Baked Barbecued Pork Puffs. 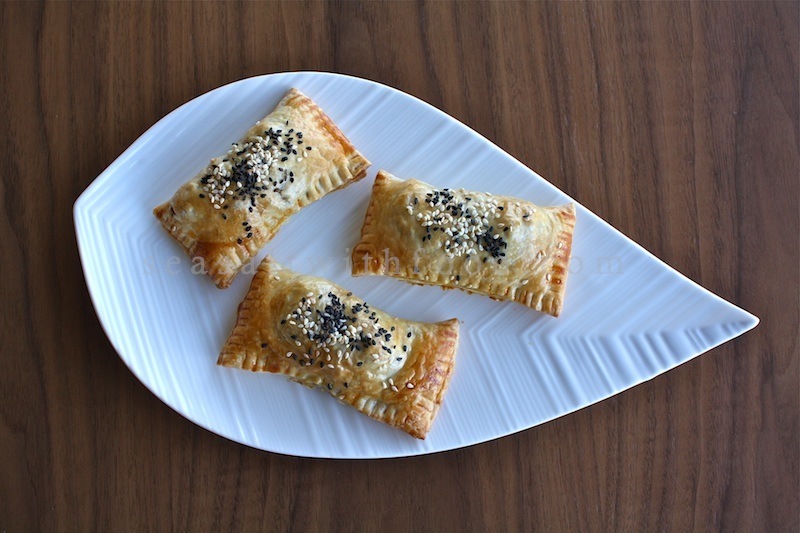 I cut up some ready made puff pastry into rectangle pieces and sprinkled some sesame seeds on top just before baking. 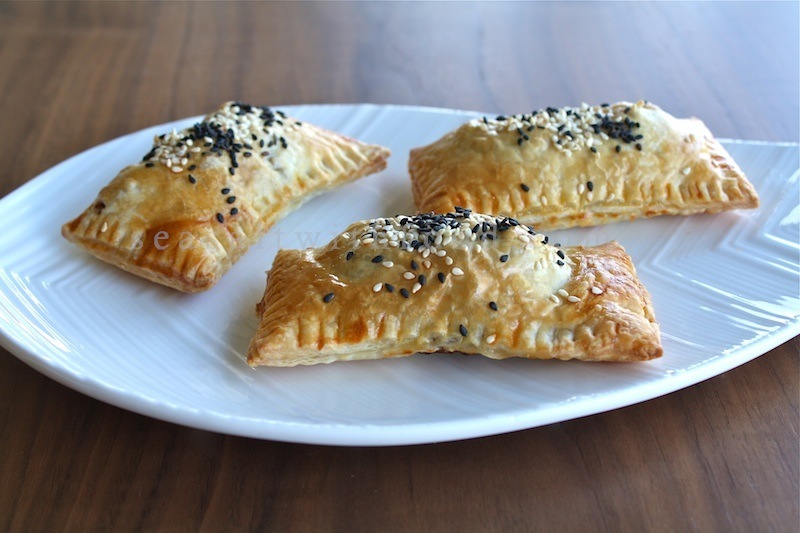 Besides making the puffs look prettier, the sesame seeds also ensured the puffs will have a lovely fragrance when it’s done! Divide the meat mixture equally (about 2 Tbsp) onto the center of the pastry. Brush all the edges of the pastry lightly with the egg-wash. Then seal the edges and press the edges with a fork. 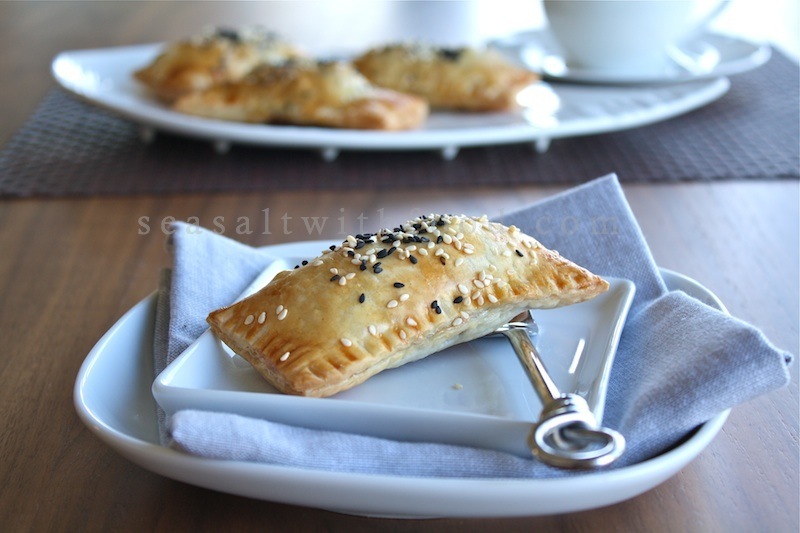 Brush the top of the pastry with egg-wash and sprinkle some sesame seeds. Mmmm....my favourite. Your method looks easy...just use ready puff pastry. I should try this. Thanks for sharing. Oh Char Siew Puff is one of my faves in dim sum restaurants.. Your Char Siu Puffs are beautiful. Definitely 5 star. Gorgeous photos. these look fantastic. i think my problem is that i'd probably never have any leftover barbecued pork in the house, so making it from scratch would take some work. Great pictures, but I've never seen red onion or peas in char siew puffs.